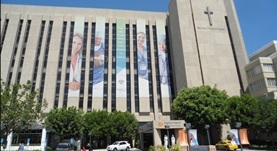 Dr. Nils Lambrecht completed his residency program at the UCLA Medical Center and is specialized in Pathology. He has been in practice for more than 20 years and is board certified in Anatomic Pathology. 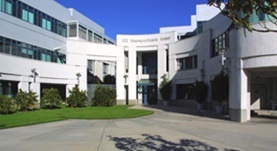 Dr. Lambrecht is affiliated with the VA Long Beach Healthcare System and University of California-Irvine Medical Center. During his career, he has also contributed to various clinical research publications. Dr. Nils Lambrecht has contributed to 2 publications. Conditional (intestinal-specific) knockout of the riboflavin transporter-3 (RFVT-3) impairs riboflavin absorption. Subramanian, V. S.,Lambrecht, N.,Lytle, C.,Said, H. M.; Am. J. Physiol. Gastrointest. Liver Physiol.. 2015 Dec 15. Therapeutic role of niacin in the prevention and regression of hepatic steatosis in rat model of nonalcoholic fatty liver disease. Ganji, S. H.,Kukes, G. D.,Lambrecht, N.,Kashyap, M. L.,Kamanna, V. S.; Am. J. Physiol. Gastrointest. Liver Physiol.. 2013 Dec 21.